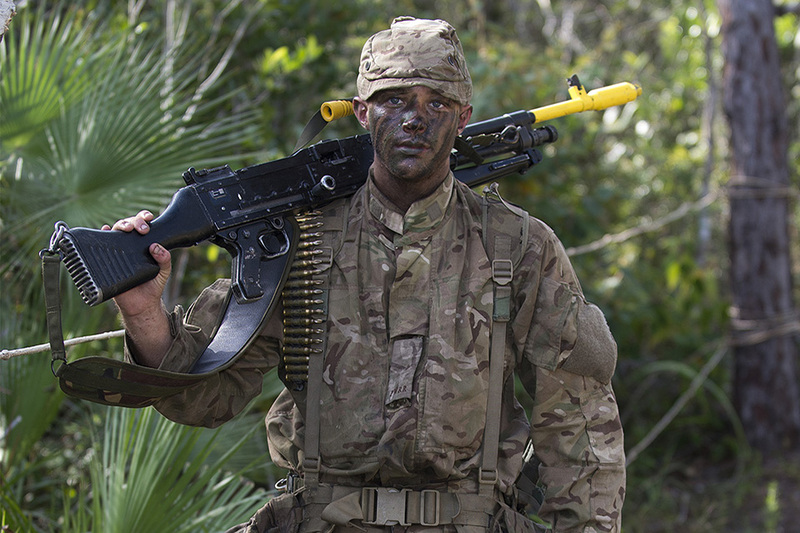 It is one of the world’s toughest environments, and lessons learned from the jungle warfare of the Second World War are still being taught to soldiers today. On 15 August, the eyes of the nation will fall upon veterans of the Far East campaign on the 70th anniversary of VJ Day. The war in the Far East saw much in the way of jungle warfare, with battles fought against the Japanese in Burma and Malaya. In the early stages of the Second World War, Allied Forces learned the lessons of the jungle the hard way, suffering defeats in 1941/42. With few exceptions, the Allies initially thought the jungle was impenetrable and therefore it could be disregarded for manoeuvre. The Japanese however had been honing their skills fighting the Chinese for a number of years and quickly showed how adept they were at utilising the terrain for outflanking and manoeuvre with dire consequences for the British. But by 1944, there had been a complete review of British jungle tactics. Once the 14th Army, the Allied fighting Force in the Far East, was trained by the new bush warfare training establishments, the situation in Burma began to swing back in favour of the British. 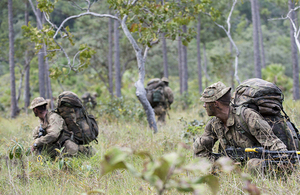 Those tactics are still taught to soldiers today by the British Army’s Training Team in Brunei, which prepares them to fight in the harshest of climates so they are best prepared for any future conflict that may arise. Training Team Brunei was formed out of the ashes of the battles fought against the Japanese in Burma and Malaya during the Second World War. It was proved that well-trained, mentally and physically robust British soldiers could function and fight just as well as any foe in this claustrophobic and exhausting environment. At the heart of operating in the jungle is understanding how to live in the bush, and as much today as it was in the Second World War, it is a skill that has to be learned. 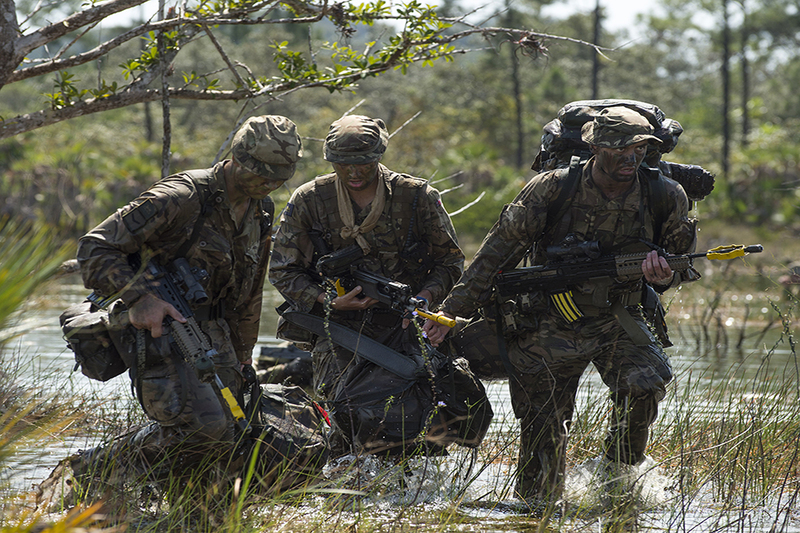 Soldiers have to pay strict attention to their health and hygiene, be prepared to carry heavy loads for long periods and cope with the animal, insect and vegetation hazards. The obstacles are many – rivers with flash floods, swamps, falling trees and dangerous wildlife to name but a few – and the climate is hot, humid and wet. It is a state of permanent dampness, rain or sweat, of stifling, windless heat, of dirty clothes, of smelly bodies, of heavy loads, of cocked and loaded weapons, of tensed reflexes, of inaccurate maps, of constant vigilance, of tired limbs, of sore shoulders where equipment straps have bitten in… It is a challenge. It can never be taken for granted. Her Majesty The Queen and members of The Royal Family will attend a series of events on Saturday 15 August 2015 in London to commemorate the 70th anniversary of VJ Day. Members of the public are being encouraged to support this anniversary by lining Whitehall in Central London to watch a spectacular flypast of historic and modern military aircraft, view the drumhead service taking place in Horse Guards Parade on big screens, and cheer on the veterans as they parade supported by military bands and current personnel in honour of the role they played in the Second World War. Visit VJ Day 70 for more information about the event and how you can take part. You can also join the conversation online by following #VJDay70.